I'm doing my best to keep my priorities intact. I miss this space and thought a quilt finish was just the excuse to get back here. I had to go back through my instagram feed to see how long this quilt top sat finished before I had it quilted. It was almost a year. I can't believe I let it sit for that long. It was long arm quilted with swirls in a turquoise thread. 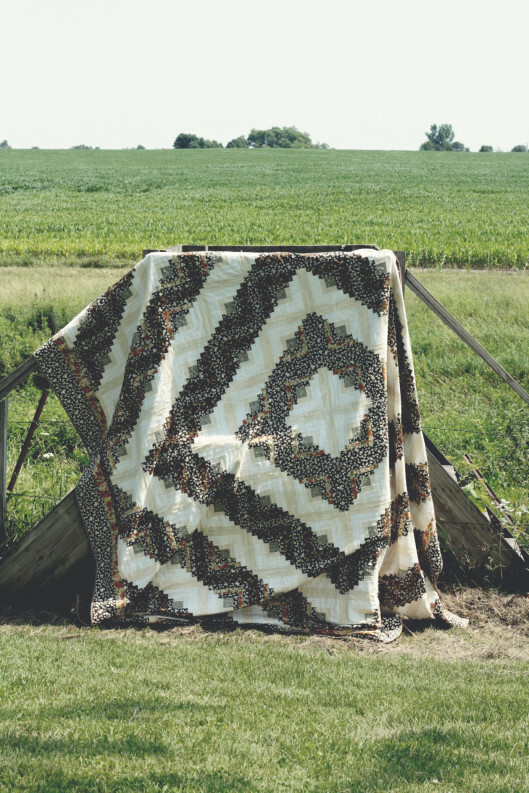 I love everything about this quilt. The fabric is Jeni's Dreaming Vintage line. I'm generally not one to go for warm colors but I love how all of these colors look together. It's such a happy group of prints. The pattern is Golden Afternoon, also by Jeni. 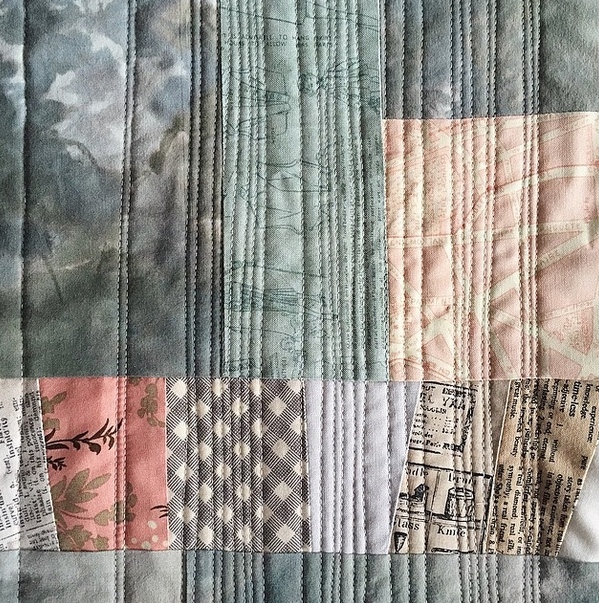 I bound the quilt with two shades of green and backed it with a sewing machine print that coordinates in the very best way. I'm keeping this quilt for myself. I'm greedy like that. I think the main reason my projects don't find there way here is that I just don't stop and take pictures like I used to. In May, I made a fabric basket for a friend's birthday. The pattern was from Anna's book, Handmade Style. I was so happy with how it turned out that I snapped a quick pic with my phone and delivered it right away. 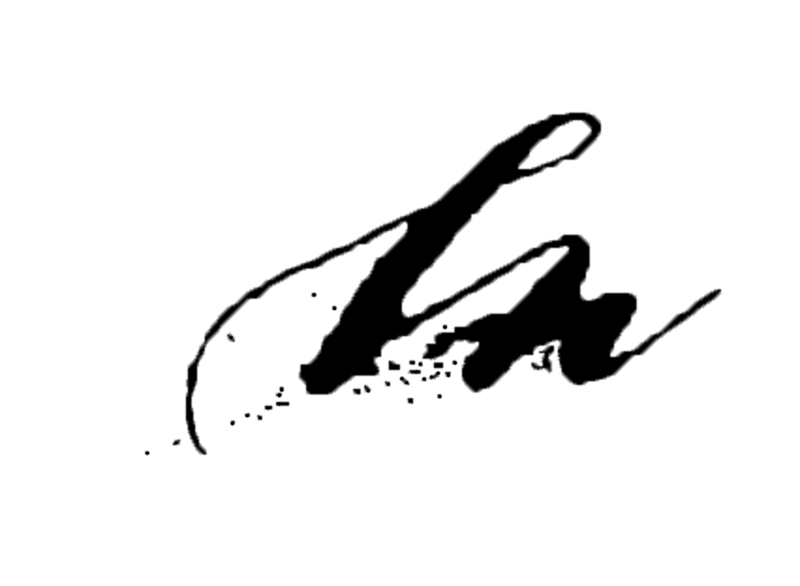 Later, I thought I would write a little post about it and then realized that all I had to share was this. One lonely photo. With this in mind, I took some time to photograph a couple of quilts I made last fall. 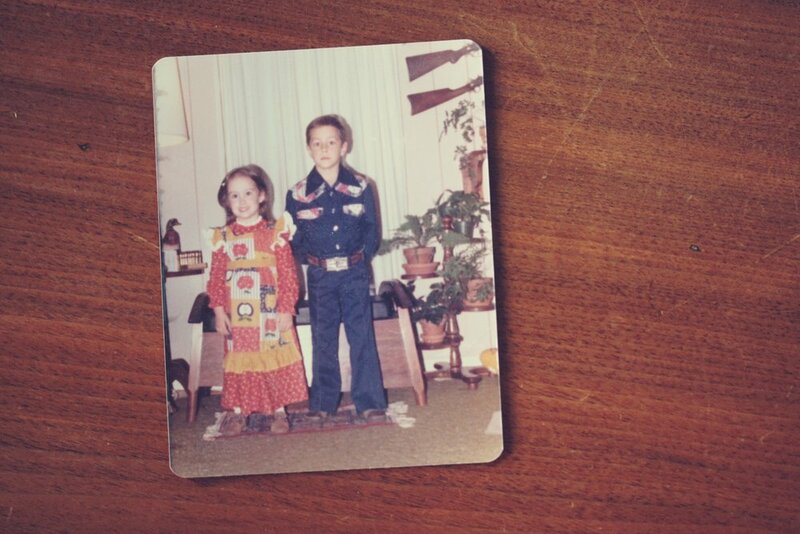 I could make log cabin quilts for days. 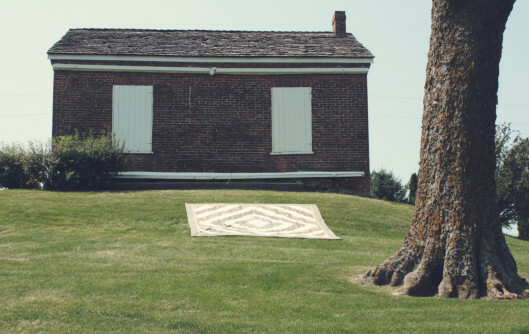 This one is a baby size quilt made from one giant log cabin block. One half is a light weight chambray, the other half is a split of ice dyed cottons in greens and purples. The back is a print with indigo stripes on a off-white background. 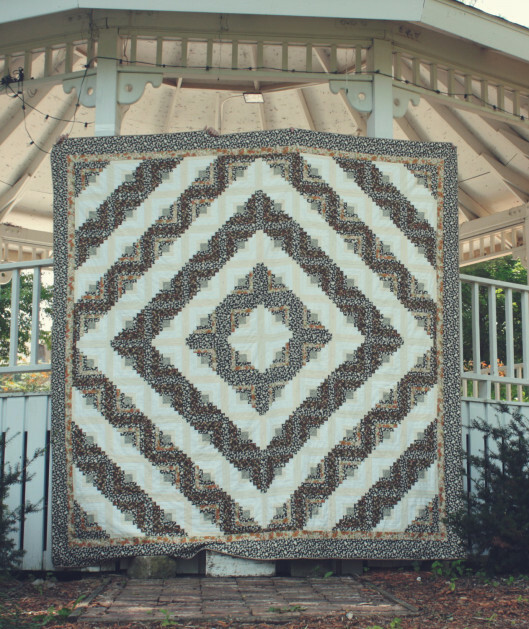 The pattern for this quilt is Vast from Jeni's book, Patchwork Essentials: The Half-Square Triangle. It's made with some of my favorite ice dyed cottons and a mid-weight chambray. The back is a gold and black print. I think this quilt looks brilliant with all the lichen on the wall. I miss this space. I really do. It's difficult to make it a priority but at the same time regret not capturing so many moments and projects over the past couple of years. I finished a hat last week. The pattern is the simple pleasures hat from purl soho knit with blue sky alpaca royal in antique black. It is the softest yarn with which I have ever worked. After I finished it, I thought it would be fun to look back on all of my knitting projects I have done over the years. Only to realize I hadn't photographed most of them, let alone posted most of the recent ones. In October, I made a pair of color block mittens for a friend's birthday. I lost my favorite black and white striped mittens last spring so I made myself a new set of mittens in purples and greys. I adapted a glove pattern to make these. I made a couple of hats for myself and for lulu this past fall. One of lulu's has already gone through the washer and dryer and on to the trash. The other was a replacement yarnster since her first stretched to the point it didn't fit anymore. I have added a few totes to my shop. The weather is finally starting to cool down. Thank goodness for cardigan weather! It was too hot to ice dye for quite a stretch there. Hopefully, I will be able to get some new fabric ready to go in the next few weeks. If there is interest, I was thinking of adding some yardage and bundles of some of my dyed fabric to the shop. School starts next week so that should free up some time for me to get to work on my project list. As much as a dread the idea of using an alarm clock again, I'm looking forward to some uninterrupted stitching time. I'm one of this month's featured artists over at Citizens of Textile this month. I've made a small collection of totes, some zippered pouches, and a couple of special baby quilts. Each piece uses some of the snow dyed cotton I made late this winter. The range of shades and values created with the snow dye process are pretty inspiring. It's made for a fun one a kind group of projects that I'm so excited to share. The Citizens of Textile shop is open through Sunday night 7pm CST. 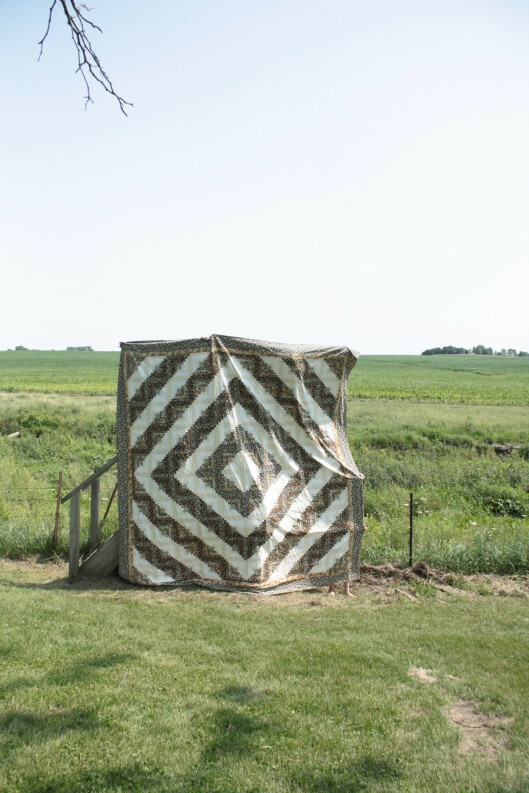 I have never been a part of a traveling quilt project before, so when Jacey invited me to be a part of her fantastic quilt voyage project I was mixed with fear and excitement. The idea is you make one block to start your own quilt and then it's shipped around to one of the other participants, who in turn make a block and send it on to the next quilter. Once everyone has made a block it comes home and you can put together a quilt top. 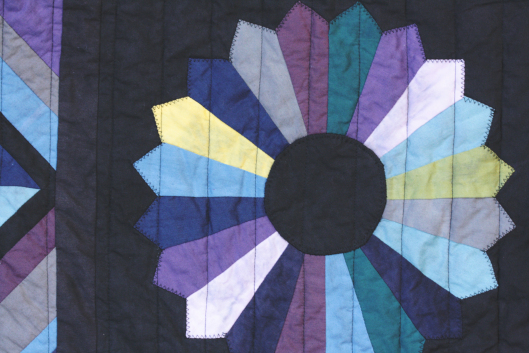 Most of us are on pinterest and we've been busy pinning all sorts of inspiration for our quilts. Using pinterest has been a great way to really focus on what you are hoping for your own quilt and also get a feel for what would work for someone else. Some of us are also sending along a journal/blank book of some sort for all of us to write in as we work on a block. I ended up making a sort of a journal pack with mini copies of the pins I found for inspiration and punched ovals from paint chips for color palette matching. There are also some fabric scraps along with a clip to hold the journal cards that people put together as they work on the project. I used a box from Fat Quarter Shop for shipping (they always use such sturdy boxes) but I thought I should do something to make sure people knew it wasn't being sent from Fat Quarter Shop. I didn't want anyone to walk out to the mailbox and think "did I order a big box of fabric and completely forget about it?" It could happen, right?! So I doodled all around the box in the hopes no one has a panic attack on their front step. Even though it's months away, I'm already looking forward to putting together my quilt! It's that time of year when winter starts to drag on a bit. I thought I would brighten things up a bit with a sale. During the month of February you can get 20% off your purchases in my etsy shop. Just use the coupon code BIRTHDAY20. I finished a bunch of quilts last month. It was an effort to work through a good chunk of my 2014 project list before I started my 2015 list. This quilt went together extra quick. It's made with a pre-cut layer cake and then some yardage for the back. The prints on the front are all for Aneela Hoey's little apples line. I love the trees and little hedgehogs. The wardrobe print is one of my all-time favorite fabrics. I machine quilted it with a pale grey thread with organic matchstick lines along the diagonals. I added some coordinating cardinals to the back. They just looked so cute with the rest of the prints. I've listed in my etsy shop and I'm hoping it finds a nice new home with someone who loves it as much as I do. In January, Dana started a scrappy bear paw quilt-along on Instagram. I love making bear paws blocks and had a stack of fabric that I had set aside for myself ages ago. 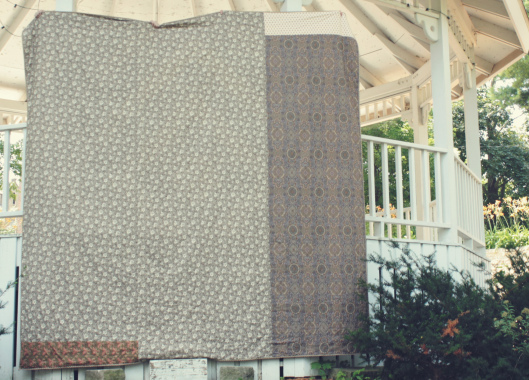 It was a mix of old fabrics that I had been saving just for me, along with new prints that caught my eye. Once I saw Dana's quilt a-long, I knew I had to get started right away. I gave one paw in each block an accent paw. In the end, it turned out to be a sampler quilt hidden in a bear paw quilt and I absolutely love it. As soon as it was finished I had it on the bed. The border is the Paris map print by three sisters for Moda. It's from years ago but I squirreled away yards of it because it is one of my most favorite prints. It was my jumping off point for the prints for the rest of the quilt. Basically, all my favorite colors, which are mostly sort of non-colors. One of my favorite bits is the binding. In with one of my favorite text prints, I added sections of a black print from the first fat quarter bundle I ever purchased back in 1997. It is a Moda print and I still love it today as much as I did back then. The back of the quilt is a lovely black print on double wide fabric with some grey around the edges. A friend quilted it for me on her long arm. 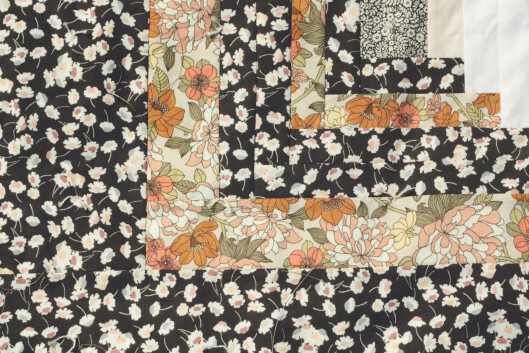 The quilting pattern was called bayside. I'm sure they were going for waves, but to me it looked like thick curly bear fur so I had to try it. She did an amazing job and I'm thrilled with how it turned out. At that time, you couldn't change your etsy shop name so once I settled on mybricole, I set up a second empty shop to hold the name. Then etsy decided you could change your name, but only once and I would have to delete the other shop first and hope I timed everything right to be able to then change the name and to be perfectly honest I just didn't trust the internet enough to go through all of that. I closed my first shop and now I'm using mybricole on etsy as my online shop. A few people have been asking when I would be making totes for sale again and I'm pleased to finally be able to say, now. I have a bunch of new bags listed and will hopefully be adding more in a month or two. They are made with a mix of cottons and linens in all my favorite prints. Including a few hard to find prints that were painful for me to cut in to. Through the results were worth it. The fabrics really stand out on these bags. I used several of Anna's patterns to make them. Be sure to check out all the new listings! 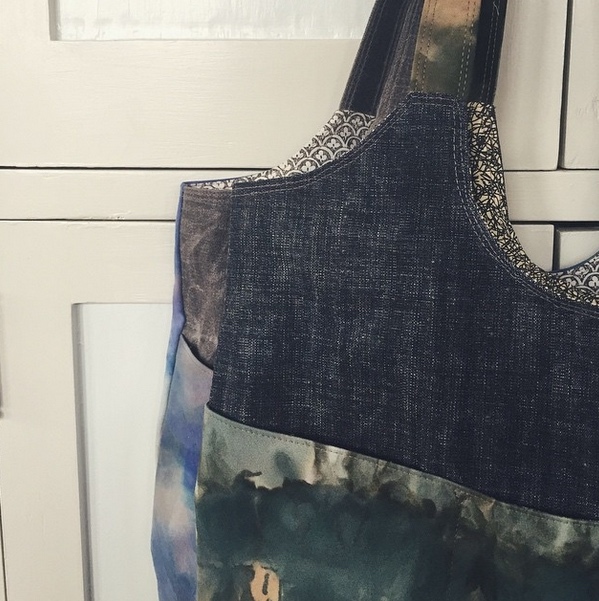 When I started this post I was going to link back to the tote I made with cotton I dyed last year with indigo. Then I realized I never shared it here, only on instagram. It's the Luxe Tote pattern. The handles and corners are buckskin. The tote went together quickly and I will be making another one at some point, I'm sure. I also wanted to take another try at indigo dying. I love the shibori technique of long running stitches pulled tight and knotted. That was how I created the fabric that was used for the tote. I did a couple of pieces like that again. I love the random shapes created by the tightening of the stitches. I used some wooden drawer knobs and rubber bands for these. I can't decide if I like the front or the back better with this pattern. I also did a slow dip on a skein of wool. I'm anxious to start knitting with this. I won a copy of Visual Texture on Fabric a couple of years ago. It's filled with great DIY ways to create texture on fabrics, many with things you probably already have on hand. I used the sugar syrup method for these. I scattered a lot of syrup at first in an attempt to create layers of color. The longer the syrup sets, the more it will resist in the dying process. My syrup was also thin, so it spread a bit leaving shadow lines around the white patterns. I let the syrup set on the fabric for about an hour the first round and then used an old paint brush to apply the indigo. Once the indigo oxidized, I rinsed it and scattered more syrup, waited, and rinsed. I kept going with this process until I was happy with the color. It was difficult to get that true indigo with the brush application, so I did a quick dip in the vat on a couple of yards. I love the richness of color that appears after the dip. I'm looking forward to cutting into these for more totes and maybe even a quilt. I started writing this post in my head this morning while I was taking these pictures in the back yard. It was sort of a sad post, dwelling on how disappointed I was with how the color transferred in the dryer. I'm still bummed about it, but in between then and now, I had a visit with my new massage therapist. When she heard I did a lot of sewing she did some extra work on my arms. As someone who spends a lot of time holding projects and stitching with my hands, I shouldn't be surprised to feel how much tension she worked out of my forearms, but I was. Turns out I don't just hold my tension in my neck and upper back. Needless to say, I'm feeling relaxed and much more at peace with this project. I was nervous to wash it knowing there were some rogue untreated pieces of the black fabric in the mix so I threw in 3 color catchers and crossed my fingers. I ran down to the washer when I heard the end of cycle buzz and was thrilled to see all the bright colors were still holding their own. Woohoo! I tossed it in the dryer and away I went. Then the dryer buzzed and I ran down. I was crushed. When I pulled it out of the dryer I found the yellows and pinks where now smudged with black. As the quilt tumbled, the black spread itself all over. I had this happen with another quilt, and with washings it diminished, so I tossed this one in with 3 three more color catchers and here's where it stands. So it is our new family quilt. You know the one that gets thrown in the back of the car and used to for anything and everything. And it will be the coolest car quilt around! I love the feel of the fabric, so soft and smooth. Plus aside from the smudges, it's a pretty awesome set of blocks! It's backed with a black and blue print so grass stains won't a problem. Bring on the picnics! We are ready!